Maybe you’re dreaming of breaking the status quo of an utterly predictable retirement by retiring to Mexico. Or maybe you are already fed up and want to retire early, like now, while you still have the ramp necessary to realize a new life plan, one conjured from a distant shore. As another example, let’s say you have already retired, voluntarily or involuntarily because your job prospects were so grim and you hadn't reached age sixty-five. You are wondering if your money is going to last. It's possible that living in a less expensive country for five years might save you enough money to return to the U.S. in better financial shape. Once you see how far your money goes in a cheaper country like Mexico, you could just decide that the people you love will be just as excited to visit you in your well-appointed Mexican casita in Colima as in your rancher in Biloxi, probably more, at least for a few more years. The question is, what about paying taxes if you have re-located to Mexico full-time. Do you still have to pay taxes exactly as if you were in the U.S.? Uncle Sam Wants You....even if you've found someone else. Brett Sweezy: “The US taxes its citizens on their worldwide income, regardless of where the income is earned or where the US citizen lies. The requirement to file and pay US income taxes is solely based on US citizenship. If you have a social security number and a passport, most likely you will have to file. Most US citizens living in a foreign country that has an income tax will not owe any US tax, but if they meet the minimum filing requirement, around $10,000 USD for a single taxpayer, they still need to file a US tax return, and might be subject to other informational returns. The most common of these is the Report of Foreign Bank and Financial Accounts (“FBAR”). The FBAR is required on most types of non-US financial accounts if the total of all such accounts is more than $10,000 USD at any time during the calendar year. The FBAR report is the primary enforcement tool with the Foreign Account Tax Compliance Act and the failure to file an FBAR can lead to significant penalties. Ventanas Mexico: What if you are working in the expat country? Brett Sweezy: The US provides several remedies to prevent the same income from being taxed in multiple countries, including tax credits, income exclusion and tax treaty benefits. These are particularly important to be aware of if you are working in another country. A US citizen residing outside the US may qualify for foreign earned income exclusion on earnings from employment (maximum $99,200 for the 2014 tax year, $100,800 for the 2015 tax year. In addition, you can claim a credit against your US tax liability for taxes you paid in a foreign country. In many cases the credit will be enough to eliminate any US income tax liability. For US citizens living abroad full-time, Income Tax Returns are due June 15. You may file for an extension to October 15th, but that is not an extension of the time to pay so if you owe, you must pay by June 15th". Related Links: All is not lost however, according to this article from The Motley Fool, "How do American Citizens Abroad Get Taxed?" Next up: The Mexican email: Expect to be seduced. Most recent: Phone carrier contracts are not casual dates, they are long-term commitments. If you're going to be taking trips to Mexico, think ahead to what your needs will be before signing on. Hola, - I am a partner with Ventanas Mexico which provides insight and resources to those considering expat life in Mexico. 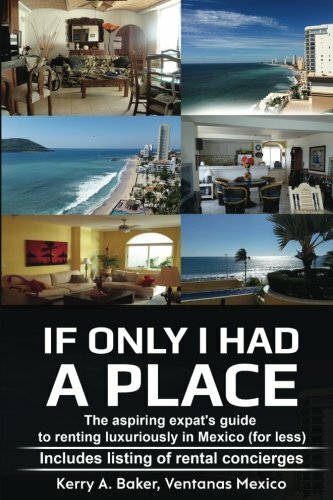 I am author of the "Interactive Guide to Learning Spanish Free Online," a curation of the best Spanish language tools on the web and "If Only I Had a Place," a guide for the aspiring expat on renting in Mexico.